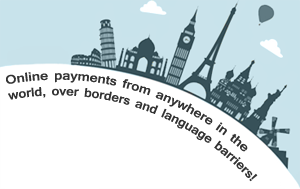 This section was made for users who wish to make an online payment with an amount agreed with the TTMEM.com Staff. Visa, Mastercard and Paypal payment methods are accepted. 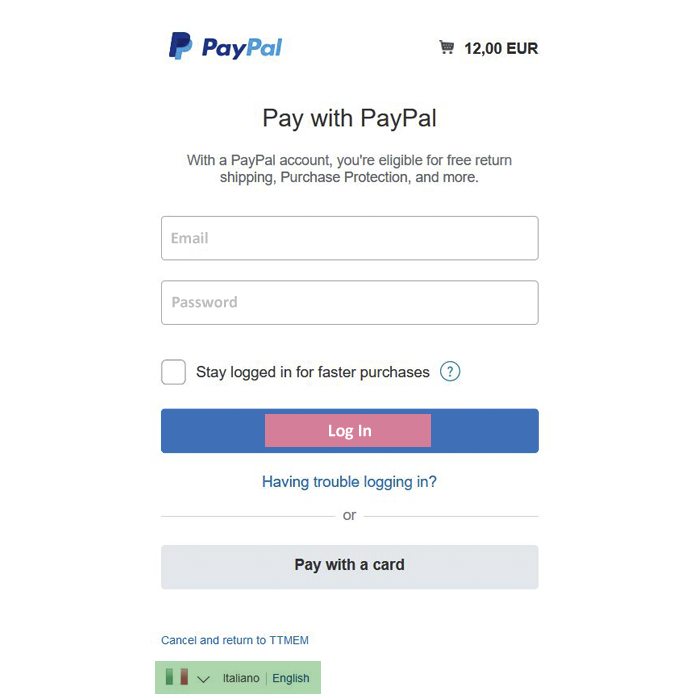 By clicking ACCESS TO PAYMENT button below, on the next page you will have the option to insert the amount agreed with TTMEM and make a secure payment by credit card or PayPal. IMPORTANT: We have configured a PayPal secure payment system and we would like to highlight the fact that you do not need to have a PayPal account to make the payment. 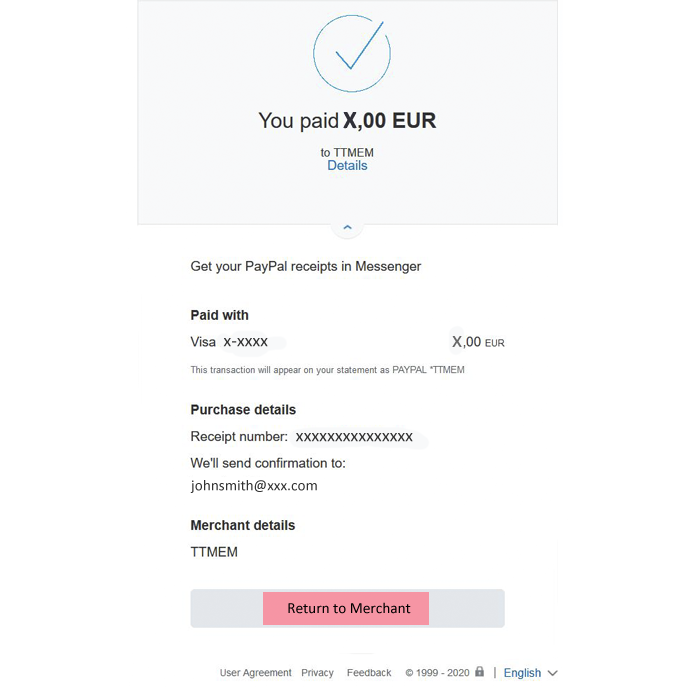 IMPORTANT 1: We have configured a PayPal secure payment system and we highlight the fact that you do not need to have a PayPal account to make the payment. 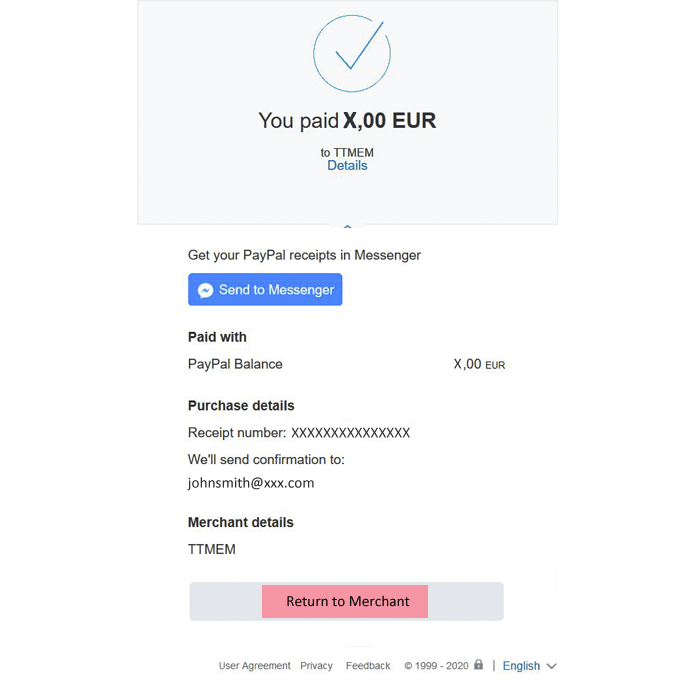 IMPORTANT 2: Read the information below in order to avoid problems with downloading TTMEM.com products after the payment is done. IMPORTANT 3: If for some reason you were not able to download TTMEM.com products, please Contact us . We will respond to you as soon as possible. If you do not have a PayPal account, press the button circled in red. You can change the language of the above screen, choosing through languages available in the areas circled in green. After you fill in all required billing information, press the "Pay Now" button circled in red. 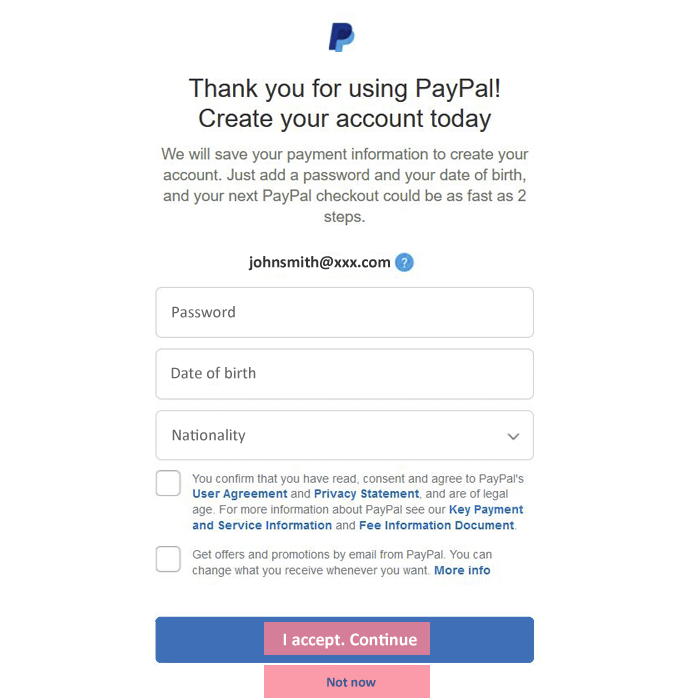 If you wish to create a PayPal account, fill in all required fields (Password, Confirm password, Date of birth) and press "Agree & Continue" button circled in red. If you do not wish to create a PayPal account, press "Not now" button circled in red. 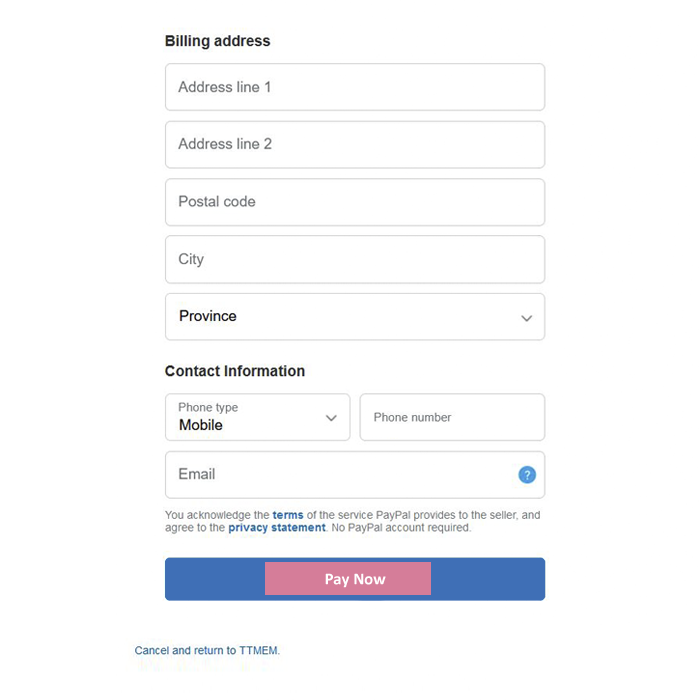 After the payment process is finished, you should see the above screen. Click "Return to Merchant" button. The download process will start automatically (within 10 seconds). Fill in all required fields and press "Log In" button circled in red. Follow the instructions contained on the welcome page and you are done!